The Android team has detailed the changes in Android 7.1, which is labeled as an “incremental” update to the existing Android 7.0 build. Even with a label like incremental, though, there are still plenty of goodies baked in. Let’s take a gander at what’s new. As listed by Google, a lot of these changes are developer-facing, meaning you will see their implementation via apps and games you might download, not necessarily in the overall Android user interface. To start, the Android team lists App Shortcuts API, which allows developers to create shortcuts that are placeable directly on a user’s launcher. From these shortcuts, users can be placed at a specific point inside of an app. Think of it like Apple’s 3D Touch, where shortcuts can be opened up when touching on an icon. As an example, Twitter could create a shortcut from its icon that leads directly into your Direct Messages, allowing you to skip your feed of tweets. Google is also granting developers the ability to add metadata for wallpaper pickers — the exact same we see inside of the new Pixel Launcher. With this addition, developers can place labels, descriptions, authors, or context URLs where they are visible by a user. To either the joy or dismay of users, Google also added in support for circular icons, the same as you see on the new Pixel and Pixel XL devices. Circle icons are coming, people. Google is also bringing “Image Keyboard Support.” With this, it expands the types of content that users can enter from keyboard, such as stickers, GIFs, and other content. Is this a sign that Gboard is coming to Android? Not exactly, because we haven’t heard a single peep about Gboard support on Android, and Google is probably too busy working on Google Assistant to think about it. Maybe in the future, though. For a cherry on top, the Android team also lists Storage Manager Intent. This allows an app to take users directly to a new Settings screen to clear unused files and free up storage space on devices. So, if you keep running out of room on your device, this will help. As you can see, there is nothing too crazy inside, but this is what you can expect to see on the Pixel and Pixel XL, as well as any device that receives the update to Android 7.1. 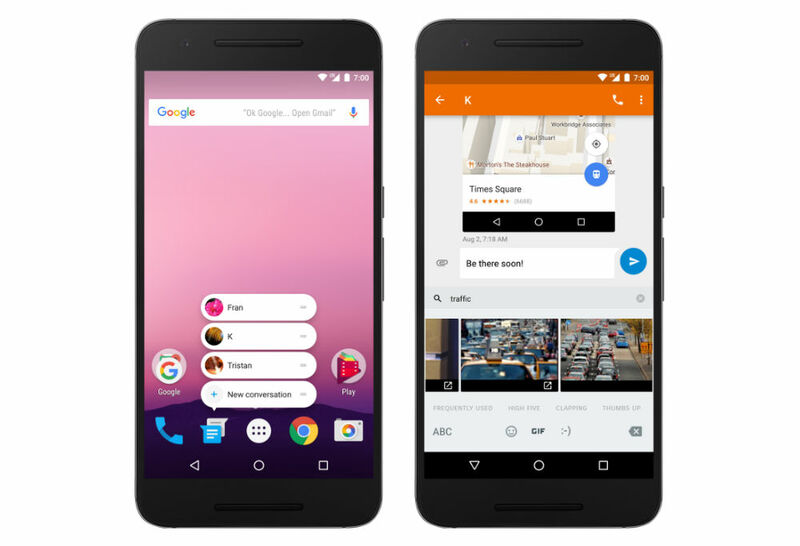 Android 7.1 Announced, Coming as Developer Preview "This Month"